MainAll NewsRadioIs Public Speaking Only for the Brave? 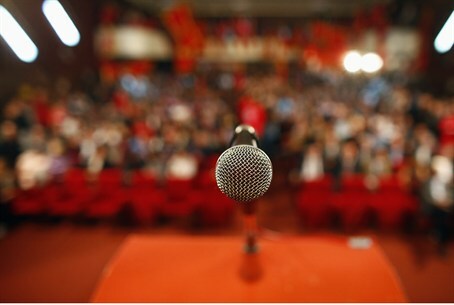 Is Public Speaking Only for the Brave? Personal finance tips for young adults, and the secret of speaking in public without fear. In the first half of the show, we ask: Do young adults know the difference between needs and wants? How can young people develop good spending habits? In the second half of the show, meet Jill Ammon Vanderwood, public speaker and author of "Shaking Behind the Microphone-Overcoming the Fear of Public Speaking". Why are people so afraid of speaking in front of others? And how do you conquer this and other fears? Jill shares tips for preparing to give a talk and how to get started in the world of public speaking.